In memory of �Dimebag� Darrell Abbott, who was slain last year, several North Texas metal bands are getting together to honor Pantera�s legendary guitarist. It�s been a year since a fatal shooting claimed the life of one of the most beloved guitar players not only in heavy metal but in all of popular music. 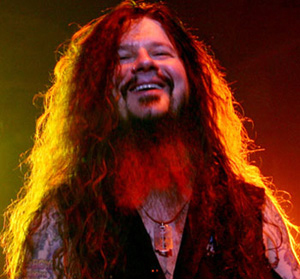 Though the grieving and the questions continue, and though his band Pantera is history, �Dimebag� Darrell Abbott�s music remains. Several festivals across the globe are taking place this week on the anniversary of his death, including one right here in his hometown. Expect lots of covers of songs he wrote with Pantera and, later, Damageplan. On board are Derision, Diesel, Manditory, Necrogazm, Mod Effect, Lockjaw, and a bunch of other North Texas metalheads. The event will have its bittersweet moments, especially considering that if it weren�t for Abbott, half of the guitarists in attendance would never have been inspired to pick up an ax. Pump your fist in the air and raise your glass. Sat at Ridglea Theater, 6025 Camp Bowie Blvd, FW. 817-738-9500.